Today was a one of the most difficult and most anticipated days for me on this trip. It was difficult because I knew I’d be visiting the Kigali Genocide Museum. It’s a memorial built to help Rwanda (and the world) never forget the tragic history that resulted in over 1,000,000 people being brutally massacred twenty years ago as a means of ethnic cleansing. It was greatly anticipated because of the amount of research I’ve done as I prepared to write the chapter on War, Terrorism, and Genocide for Activist Faith. That was an important chapter for me to write because of my service in the United States Marine Corps. Dealing with war is a tricky issue for Christians, but there’s no confusion over the fact that genocide is purely an evil act. So to be here, in this place, was going to be a special time for me on this trip. Rwanda has a rich and often turmoiled history. Tribal pride has led to an escalating division over the course of many years. This division and hatred, mixed with ruling power, created an explosive situation resulting in the belief that ethnic cleansing was an appropriate response to pay back the other tribe for their mistreatment when they were in power. I’m not here to give a full history lesson the cause and other underlying issues related to the genocide. However, I do want to talk about the people, and how the genocide affected so many people, and will continue to do so for a few more generations (at least). The ugly reality is that a large part of the population of Rwanda was brutally murdered. And with the great number of deaths, it’s easy to forget about the individual victims affected by this tragedy. One room I stepped into has a collection of photos of the victims placed there by surviving family members. As I entered the room, there were two men already there; a priest, and a much older gentleman. The older man carried a cane, and stood staring at one particular section of photos (pictured above). The massive scar across the top of his head seemed to indicat that he’d been through some sort of physical trauma. I can only speculate, but I wonder if he was a victim who maybe survived some brutal beatings during the genocide. It reminded me how personal this was for many people in this country. Another section of the museum featured child victims of the genocide. One in particular caught my attention. 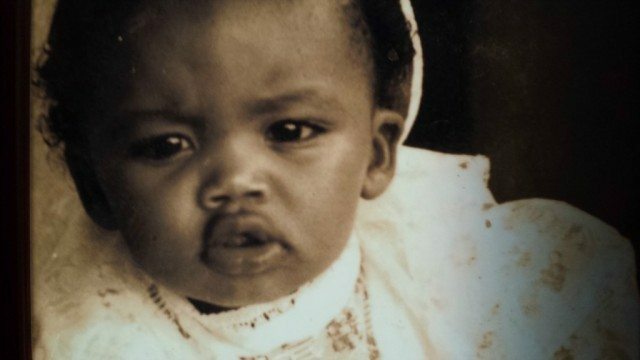 Her name was Fillette Uwase, Age 2 (the same age as my daughter). The plaque in front of her display highlighted a few facts about her. Favorite toy… doll. Favorite food… rice and chips. Best friend… her dad. Cause of death… smashed against a wall. Many men, women, and children were mercilessly murdered. But those are not the only victims of that dark time in Rwanda’s history. The genocide created many widows and orphans. In fact, there were entire villages of children left to care for themselves. Children as young as 12 and 13 taking on the responsibility of caring for and raising their siblings. It’s a reminder that the children affected by these events, whether it’s genocide, or HIV/AIDS, or other poverty-related issues, are victims too. None of them asked for the situation they are in. None of them deserve it either. Growing up without ever knowing who your parents (and/or siblings) are is a nightmare for these children. And it reminds me of why we’re here. We are here to lift up the cause of the orphan. We are here to lift up the arms of the people who dedicate their lives to caring for these children who have no one else to care for them. This is why I do what I do. And this is why I hope to bring you along with me. This is a cause worth fighting for. Wow. This is so powerful, Dan. I can only compare this in my mind to my visits to the Holocaust Museum in D.C. I remember the gut wrenching emotions I felt the first time I saw the piles of shoes leftover from those who had been incinerated. Yet, it seemed a bit removed by time the first time I saw that. I realize it wasn’t all that long ago, but this that you’ve seen…these are MY generation of people. That hits so close to home. Thank you so much for being a voice for those who were left behind with scars on their bodies and hearts alike. I love what you said about lifting their arms for them b/c of their weakness…reminds me of when Aaron and others had to help hold Moses’ arms up to keep the victory for the Israelites. Keep lifting these people’s arms up, Dan. The Lord sees it and desires victory for these weary, wounded souls. My brother served as a missionary in Uganda and then in Rwanda about a decade after the genocide. Sometimes my heart can’t even handle thinking about what we do to one another in this sin-sick world. Thank you for what you are doing to make a difference. I don’t have words enough, but only God-grande love enough – to share. thank you for reading this piece. 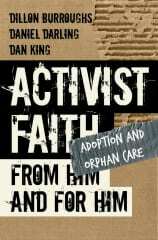 i pray it continues to challenge and inspire the way i know much of Activist Faith has challenged and inspired you! 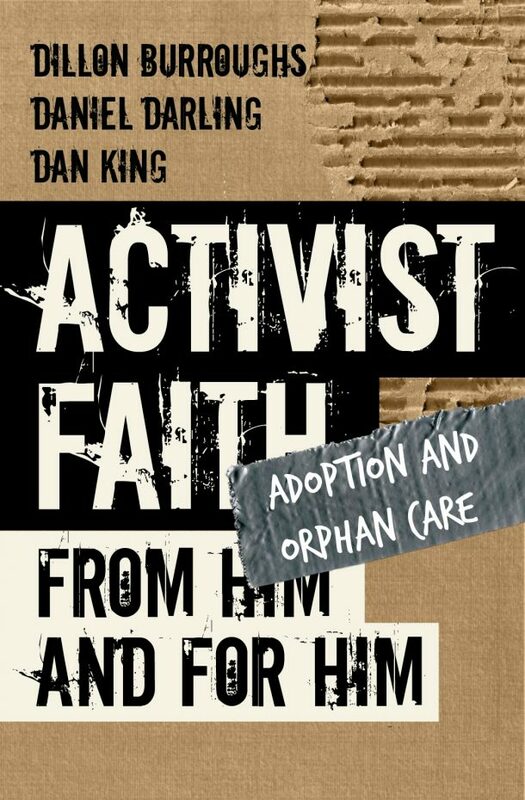 Seriously Dan, that little sign is exactly what has been on my heart for a year now (regarding orphans and my own experience with them in Haiti). That put it into words so very well. I so appreciate your heart and words. Thank you for giving these beautiful beings words. Powerful stuff, dude! thank you melinda! and i’ve been to haiti several times over the last few years, so i can totally relate with the whole orphan perspective there too. No words. Just … thank you for sharing this. Quieted by this post . it still makes me weep, even now… i have a feeling i’ll be quieted and weeping over this one for a while.